With this being the closest game for me, I'll be heading up to Annan on Saturday having witnessed just one point from the four games I've seen so far this season, so I'm not hopefully of changing my luk this weekend. I hear the pies are good at Annan... and should we head to the ground from the train station via The Blue Bell, or go straight to the club bar which I hear is also a decent set-up? And most importantly, for the folk of Annan, do any shops in your town sell One Pounders Irn Bru humbugs? I've still got a few teeth left I need to destroy, and a bad sugar addiction (Inserts a toothless smiley face thing)?! 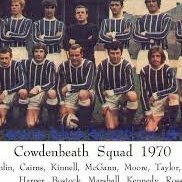 A first for me at this too, I've never seen Cowden play! I'll only have Elgin left out of the current League 2 after this. Feeling confident. 4 games unbeaten with only 1 goal conceded. Play like the last 15 minutes of the 1st half against QP last week, with finishing touches included, and it should be a straight forward win. SHOULD be! And most importantly, for the folk of Annan, do any shops in your town sell One Pounders Irn Bru humbugs? Pies are good aye, as is the club bar. The Shed seems to be the place to be before you head to Galabank, and it's on the right road which helps if you get carried away early doors! I'm no actually a folk of Annan though so cannae help wi the tooth destroyers! We've got a terrible record at Galabank so yeah, I'm not hopeful of a positive result. theres a good sports bar in the centre about half way to the ground,alas I cannot recall its name.so that's probably not much help. Let’s hope the manager gets the team selection sorted and has Fraser and Talbot on from the start.
. Play like the last 15 minutes of the 1st half against QP last week, with finishing touches included, and it should be a straight forward win. For the reverse psychology effect, I'll go 3-1 Annan with Cowden taking the lead. And one red card. Solway Cafe has great selection of boiled sweets in jars- Moffat Toffee,Hawick Balls etc. From the station turn right on the High Street opposite The Commercial. I’d say the Shed would be the better stop off if your heading from the station as you’ll pass it on the way but the social club at the ground is spot on too. And as mentioned the Solway Cafe would be your best bet for sweets. I'll go for that too, without the reverse psychology bit! It’ll be nice to hang on here. Edit to add. Nice three points. Happy tonight. 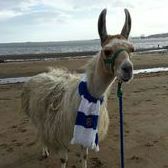 Delighted for Renton who gets a lot of needless stick! What a result. Superb three points on the road. Did not expect that as we ever win down there! Brilliant result. 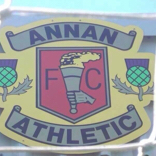 We were very unlucky to lose to Annan at home so I thought we had a squeak today. Well done to all involved. Delighted for the Cowden fans who made the journey. It’s a boring drive home but you will all be smiling! It poured with rain all the way home and I didnt care.